I would like to start a discussion about how people frame their work, particularly oil paintings. When i use thicker stretcher stock (for my finished larger paintings - not small sketches) I usually just paint the edges of the stretcher gray, but recently i've been thinking about instead framing work. 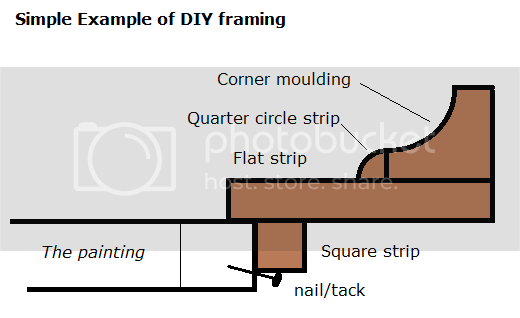 what are your preferred framing methods, thickness of frame, colour, etc.? I haven't painted in a while, but when I did I always worked big. So I built my frames. I stretched my own canvas and then bought lattice strips from Home Depot for the frame. I used very thin finishing nails and then painted the strips white. It was easy and cheap and looked nice and clean. alright, awesome. I've seen people use just simple quarter inch strips of wood, others (very professional painters) use brushed steel frames (particularly nice looking); I personally just use deep edged stretcher strips and paint the sides of my canvas after I've completed the painting. Framing the art work with different types of frame gives the painting beautiful look. I like to make various types of paintings and always frame the painting in panorama print , just to check how much improvements , I have made in my work . Framing your art work most times depends on what the people you're trying to reach with your art work wants. So a little consideration on that might help give you a heads up to what your framing should look like. Most of my paintings are painted on thin plywood (primed). They get a bit warped if I do not frame them with some appropriate strips of timber. 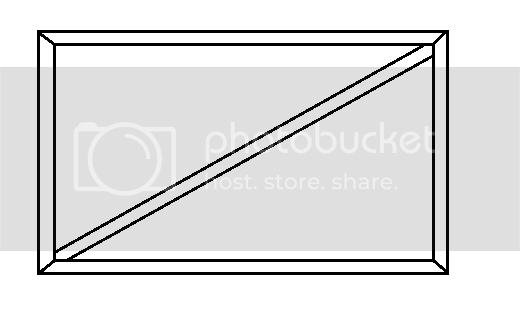 The larger the surface the larger the strips being used. My usual frame for a 48" x 36" has one diagonal strip as well for stiffness. In this case, I use 5/8" x 1" strips - or thereabouts. Paintings I wish to keep for myself are framed by me. Other paintings are left unframed but painted white along the edges. Sorry, Guys. I get the pre-stretched at Wall-Mart. The frame around a work of art is the finishing touch, the element that completes and elevates a painting, presenting it to the viewer in its best possible light. The art of framing is almost lost now, and thats a pity because the phrase above is totally true.